So....earlier in the year I bought a motorcycle. Spent a fortune restoring it and then sold it. Missed it. Bought another and absolutely love it! Dataspaz will appreciate this I am sure, not sure how many others ride on here. It would be cool to have a BBQ/Motorcycle get together! 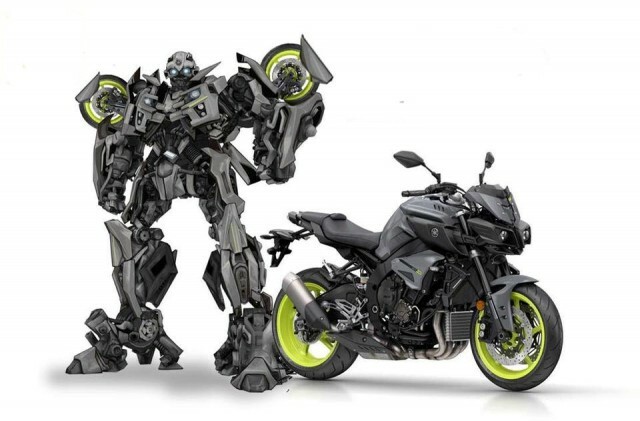 People say it looks like a Transformer, I guess it does Yamatron Lives!! Nice!!!! 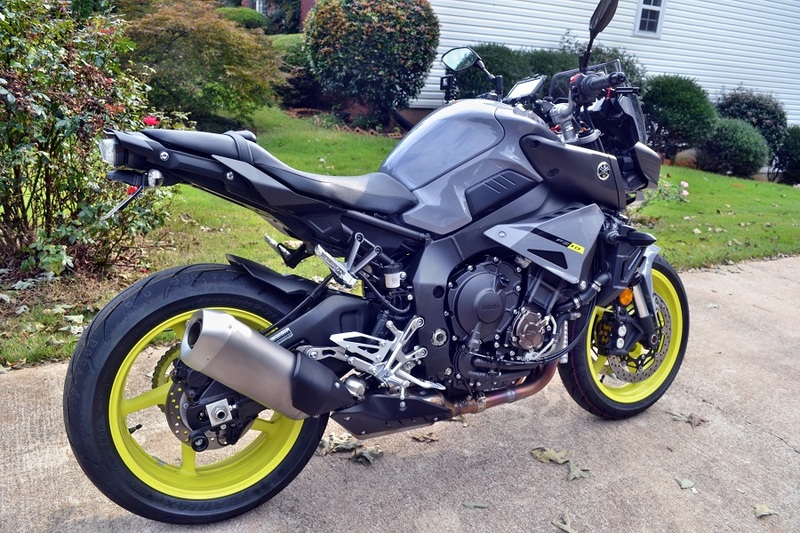 Yamaha Fz 10 right? Love it. I am jealous for sure. Yeah, it's an FZ-10. It's not gotten much of my attention lately. I bought it for an early birthday present back in August and I have a tick less than 300 miles on it. I haven't raised too much hell on it, doing the break in miles still. I have to take it in at 600 miles for it's first oil change and once over. As much as I loved that V-Max, I just wanted something modern but not a crotch rocket. I have what I like to call a "Tank Impediment" (gut) which keeps me from being comfortable leaning that far over the tank, plus my back can't do long rides on a Sport Bike like that. The FZ has upright seating, just like the V-Max so it was a natural fit. I have yet to crack it wide open and red line it. I do know that it likes to wheelie I love the sound that the crossplane cam makes in this motor. It's borrowed from the R1. Some people change exhaust on them but I like the stock just fine. The Max had a real quiet exhaust for such a brute of a motor, so I changed it. This one I'll leave as is. You can hear it on this little video I made when I took it out for its first ride. It has a nice growl. Video looks like fun. I had a GSXR 1100 back in the 80's that was really fast. I only weighed 128 pounds back then also. 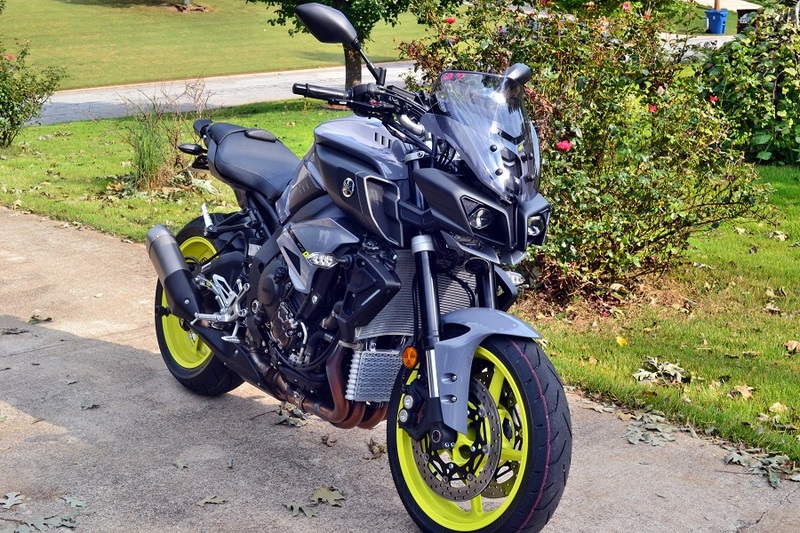 I work with a guy that recently got the FZ-07. Too bad about the VMAX. I have always liked those. I always liked the gixxers, back in the day I was a Kevin Schwantz fan. 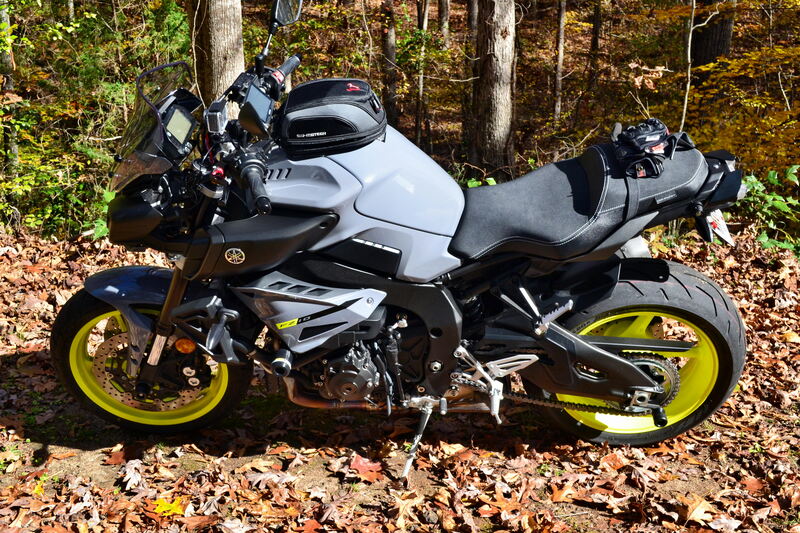 As for the Max, I kinda wish I still had it but I have to admit, the FZ handles SO much better and has ABS, 3 levels of traction control, 3 rider modes, Fuel gauge (lol), nice display that shows ambient temp as well as engine temp, keeps track of MPG, and my favorite thing I think......cruise control. It also has an accessory port (cigarette lighter style) which is great for my GPS. It doesn't have the "soul" of the Max but it does tip its hat to it, those scoops are a V-Max tribute I think. I guess I am sucker for them, on this bike they are at least functional, lol. bkk bob, thanks! Feels good to know y'all missed me It feels like catching up with old friends. I've changed some stuff on the bike since I last posted, for one I got a new, more comfortable seat as well as a tank bag. One part of riding for me is to make silly little videos and find spots to take pictures. I bought a tank bag to hold my DSLR and I try to find spots to pull off and snap a picture or 10. 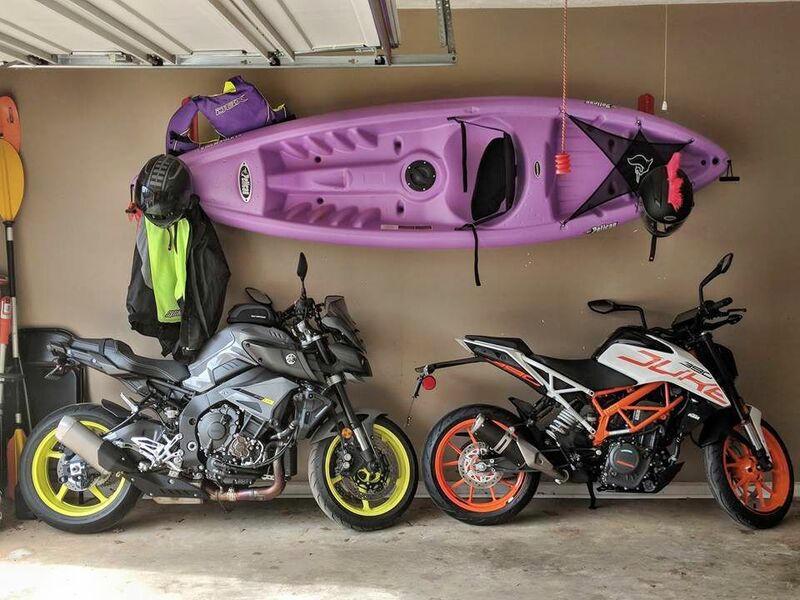 I usually try to include the bike in the picture as well as I do like it quite a bit. Some find it hideous but I like the way it looks. It is more than just transportation, it's freedom. I can't explain how serene and at peace I feel riding down back roads on it, listening to music in my helmet via bluetooth while also hearing the growl of the exhaust. It's just like heaven to me. The sights I see from a 2 wheeled vantage point, the temperature changes from warm to cool to cold and back. The smells of the road and the woods, sometimes leaves burning or someone smoking or grilling. It's all part of the experience and I have to say, I'm hooked! Cool! I wish we had some back roads like that in So. Florida to ride on. I used to ride a '78 Triumph Bonneville T140E which I bought new in 1978. It's a kick-start model and I began having problems with my right knee and had a lot of pain when starting it. So, I gave the bike to my nephew who lives close by. 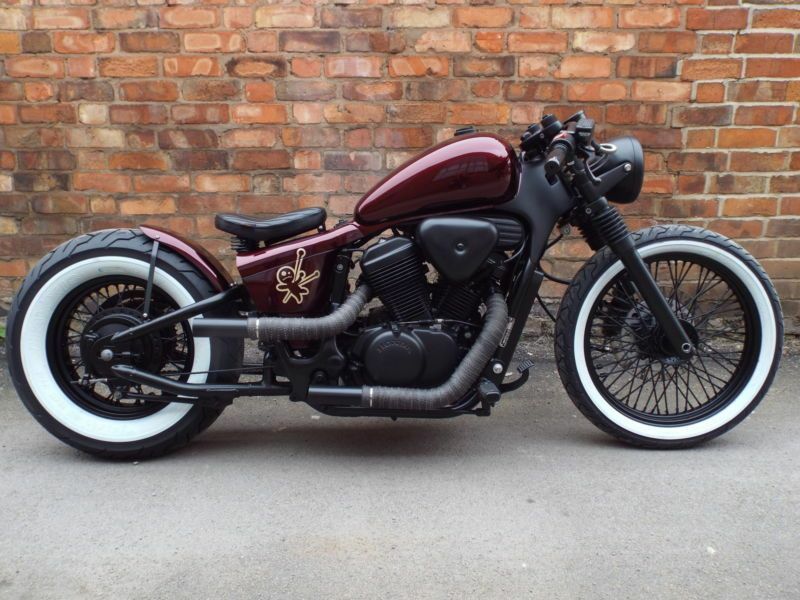 He's converted it into a "bobber" style bike. Man I love that bike Walt! I had bought Steph a 2007 Honda Shadow Spirit from some friends of ours but once she rode the VMAX I had, she decided she didn't like forward controls so I sold it. 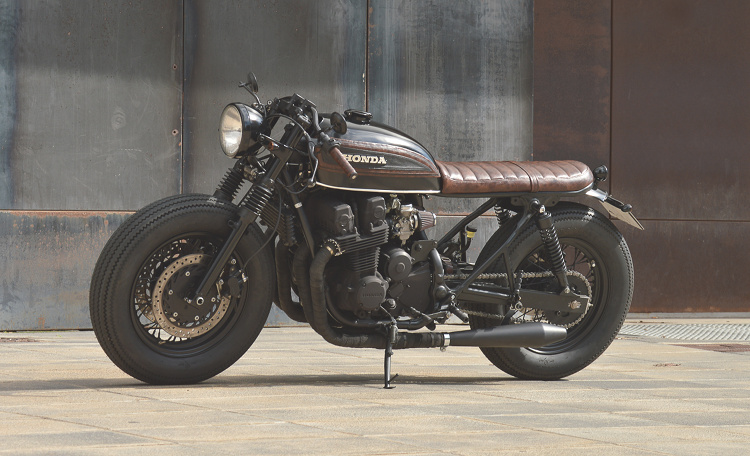 A bike like your old Triumph would be good for her as she prefers that riding position as do I. I see a lot of older bikes being turned into "Cafe Racers" these days as well as bobbers, the trouble is that people are very proud of them when it comes time to sell. I might get her one of the new Rebel 500s. Low seat height but w/o forward controls and not too much power. It'd be good for back road cruising but not so much for mountains or interstate riding. Have no idea what cafe racers or bobbers are but it looks like you're having too much fun RG! I do enjoy it but the season for riding is done for me most likely. I have to take it in for it's first service to change the break in oil and when the bike was delivered, it had some nicks on the paint on the tank and they promised to fix it for me but we elected to wait until the first service. I may take it out in cold weather but I most likely won't. When it gets below 50° it becomes a little too chilly with the wind at 50+ mph. I could get a heated jacket and gloves or even heated grips as the bike does have an accessory port but I doubt I'll do any of that. The Spring will be nice though so I am sure to get more seat time then! 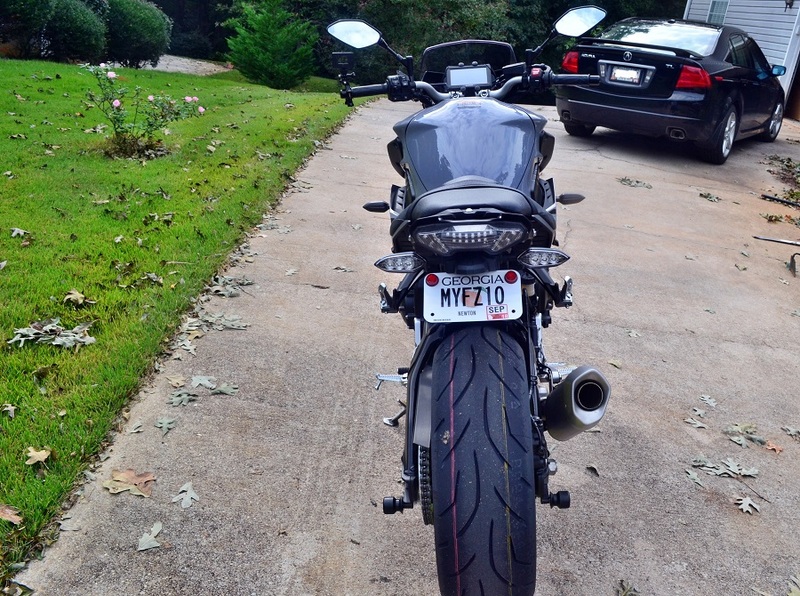 Now that I think about it, you should get yourself a bike and customize it with a BBQ Theme and call it a BamaBobber! Clever, but if I got a bike BamaPat would say Bamabobbaoutahere. Just get a sidecar and take her along for the ride! I now have my riding buddy back! I bought Mrs. RG (Steph) another scooter and I hope to video some of our rides and stops along the way at BBQ joints/diners. Should be fun! Hers is the one to the right.